Pretty funny bit on The Daily Show about how some folks plan to “celebrate” the Sesquicentennial. I can’t figure out how to embed this video, so I’ll just link to Kevin’s blog which is where I saw it first. Funny stuff on many levels, but there’s a funny Bull Run tie-in too. At the beginning of the bit are clips of a Sons of Confederate Veterans promo. 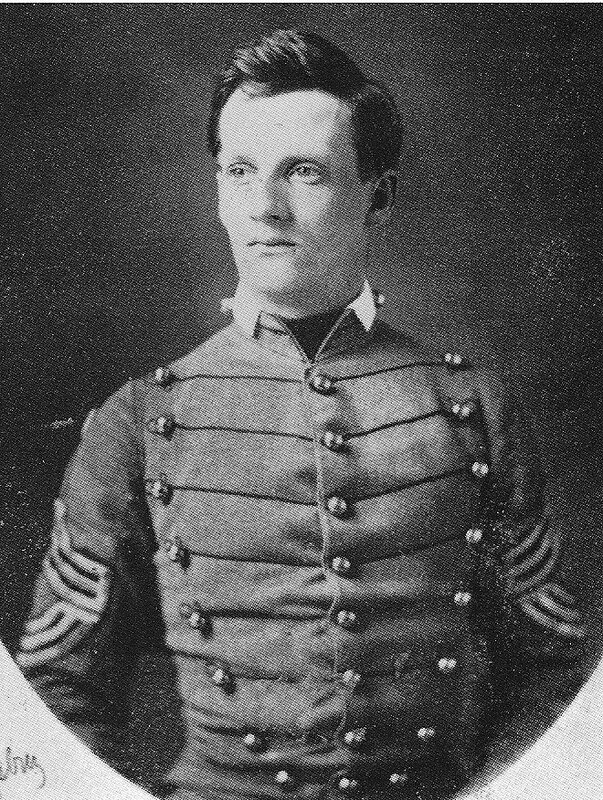 Notice that as the words “men and women of the south” went off to fight for liberty against overwhelming odds (or words to that effect, but definitely the part in quotes) are spoken a photograph of a West Point cadet is shown. This cadet is undoubtedly Henry Walter Kingsbury (left), who served on the staff of Irvin McDowell at First Bull Run and was mortally wounded at the head of the 11th Connecticut a little over a year later at Antietam. So much for setting the record straight. Read more on Kingsbury here, here and here. Well, that’s… baloney. The state’s Secession Ordinance is a two-paragraph legal document dissolving Georgia’s ties to the United States. It don’t mention Aby-Baby at all. What Seelye MEANT, obviously, was Georgia’s “Declaration of Causes of Secession,” which is a much longer document, and details Georgia’s grievances with the US — and it had to do with much more than slavery and Lincoln. Did Bull Runnings or Kevin Levin or Jon Stewart or any other blog (besides mine) have a sidesplitting laugh over this yankee journalist’s ignorance? Doubtful. We all understand why, don’t we? All comments are welcome here. I’m not inclined to discuss further Connie’s statement, but if you’re interested in a deconstruction, check out this comment thread at Civil War Memory. That site is geared to how the Civil War is remembered (and mis-remembered), and it’s also where Connie cross-posted an identical comment. How do Confederate apologists hope to gain legitimacy when they routinely dismiss those who disagree with them as “Yankees?” It’s difficult to take someone seriously when they appear to be living out a 150-year-old fantasy.